Around half of the UK’s engineering companies are struggling to find suitable engineers. As tough economic conditions continue to hang over the UK, many executives in the engineering sector are feeling unsettled. Over the past few years they have seen a raft of redundancies, budget cuts and company closures. But, according to the recruitment industry, there are far more career opportunities for top-level engineers than people may realise. In fact, the manufacturing sector is finding it difficult to recruit high-calibre individuals. A skills shortage is cited as one of the reasons behind a lack of movement at the highest level of industry. According to a recent skills report by the Institution of Engineering and Technology (IET), 48 per cent of engineering companies are having difficulty finding suitable senior engineers and 34 per cent said that new recruits often fail to meet their requirements. Paul Davies, head of policy at the IET, believes that engineers have made an important investment in choosing to enter the profession and should work with companies to develop their careers. ‘Our research clearly shows that there are opportunities out there for all engineers, particularly those with experience,’ he said, adding that industry needs to do more than it has to retain and train its workforce at the most senior level. Lucy Pickering, an executive search consultant in the manufacturing industry, believes the discrepancy between the number of graduate and senior-level engineers is a result of engineering talent in the UK being hidden away. The problem is that many companies do not provide the right training opportunities to harness this talent in the right direction. Given the current situation, she believes engineers need to take much more proactive approach with their careers. In an attempt to understand what pushes some engineers up the career ladder, Pickering’s recruitment firm, Talisman Executive, analysed more than 100 CVs of senior manufacturing professionals. The research found that there are a lower level of senior executives in the manufacturing sector that have achieved a degree, suggesting that past technical knowledge developed through career experience has not needed to be formalised. 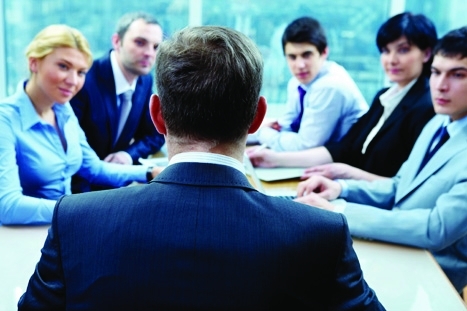 Technical skills are still highly valued in the boardroom. Around half of the senior manufacturers in the study started their career as an apprentice and have developed their skills through work-based training. The government’s attempt to focus on apprenticeship programmes seems to be moving companies in the right direction. In the IET’s survey, 11 per cent of engineering businesses said they would be employing fewer apprentices over the next five years, compared with 39 per cent who expect to employ more. This will be crucial in gaining the broader experience required for senior positions, said Pickering, that university degrees alone fail to provide. Companies are placing higher demands on the skills and expertise they are looking for in their new recruits. Cost-cutting exercises and consolidation of job roles means a chief engineer, for example, might have financial, management and quality obligations that in the past might have been shared by a number of people. Apprenticeships provide a solid basis for these skills, alongside courses for continued professional development. While engineers need to be more proactive in acquiring the right skills, Pickering suggests that organisations also need to change the way they approach recruitment. For instance, in an age of globalisation, many senior manufacturers still have career experience rooted in their domestic market. This may be the result of cultural differences within many international companies who are reluctant to recruit from abroad. While it may not feel like there is a skills shortage for engineers struggling to move up the career ladder, knowing exactly what industry is looking for and actively working to gain those skills will open up a host of opportunities. If companies and engineers work together to improve career development in the industry, the UK will have a wealth of engineering talent to help achieve its goals over the coming decade. Security firm Cassidian has appointed Michael Stevens to the role of chief executive officer for its UK arm. Stevens has held various senior defence and security roles in engineering, manufacturing, project and business management over the last 30 years in areas of leading-edge technology, complex systems, solutions and services. He has worked in numerous locations in both the UK and abroad. The Cassidian portfolio includes integrated systems and services to meet the challenges confronting emergency services, government security agencies, critical national infrastructure and military forces. Senergy Development Solutions (SDS), which specialises in oil and gas facilities engineering has announced that Rob Fisher has joined its board of directors. Fisher joins the SDS leadership team following more than 14 years with Technip where he started as a geotechnical engineer before going on to hold a number of leadership, operational and technical roles. Deborah DiSanzo has been appointed chief executive officer of Philips’ Healthcare sector. DiSanzo will succeed Steve Rusckowski, who will leave the company on 30 April 2012. DiSanzo joined Philips in 2001 when it acquired Agilent’s Healthcare Solutions Group. She became general manager of Patient Monitoring in June 2006 and chief executive officer of Healthcare Informatics and Patient Monitoring in June 2008. Most recently, she was chief executive officer of Patient Care and Clinical Informatics. General Dynamics has announced that John P Casey, president of General Dynamics Electric Boat, will succeed Phebe N Novakovic as executive vice-president of the corporation’s Marine Systems group. Meanwhile, Kevin J Poitras, senior vice-president of engineering, design and business development of Electric Boat, will succeed Casey as president of Electric Boat. Casey has been president of General Dynamics Electric Boat since October 2003.